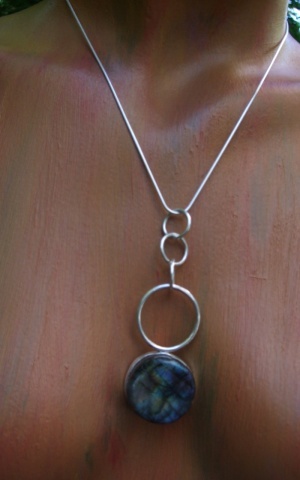 labradorite set in sterling silver. from different angles or in different lights stone appears golden, blue, green, brown, silver, or black. similar to an oil spill on the highway.